Fill in this search form and get car rental Montpellier for the best price! 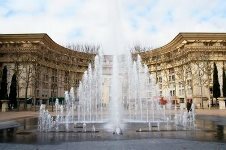 Explore the ancient French town of Montpellier with affordable car rental service! Wide choice of cars from leading suppliers and dedicated customer service that provides car rental Montpellier will make your staying in the city truly relaxing and comfortable. Our car hire service allows you to compare prices of a number of car rental companies to find the most suitable car rental deal! Henceforward car rental Montpellier is not a luxury, but an ordinary available service. After choosing the desirable Montpellier car rental location, pay attention to Must Know and Places to Visit with car rental Montpellier! Montpellier is the capital of the Languedoc-Roussillon region in the south-west of France. The city is located on 2 hills about 10 kilometers away from the Mediterranean Sea. In Montpellier you can feel relaxation and bliss of the south - palm trees grow in the streets, and local residents spend their evenings in street cafes. 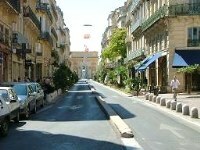 In addition to traditional French cuisine, Montpellier offers a wide selection of ethnic restaurants and cafes. In city center there are a lot of places where you can buy kebabs and sandwiches. Real French coffee shops you will find near the Place de la Comedie and at Louis Blanc street. You are at all times required to carry the car registration, your driver's license, and the proof of insurance must be displayed on your window shield. The French police can stop you and request your identification and car papers at any time. Carrying bicycles on the back of a car is illegal if they obscure the rear lights or the number plate. The police make spot checks and fine offenders around €75. 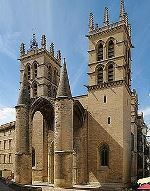 The Cathedral of Saint-Pierre is the most noticeable one because of its twin towers, oversized 15th-century porch and recently restored stained glass windows of the 19th century. The cathedral is a very famous and beloved landmark of citizens and guests. In the interior of the cathedral there is a monument to the former bishop of Montpellier, who sided with the rebellious vineyard workers in the early 20th century. 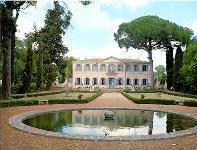 Visit this historical place using your car rental Montpellier. 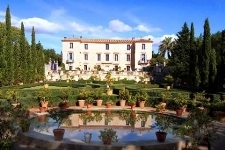 Get car rental Montpellier and visit the Mogere castle, which was renovated in the 18th century. it includes English park and French gardens. The interior of the castle is decorated with beautiful exquisite furnishings related to the period of the 18th century, as well as decorative statues, paintings and other attractions that are returned to Montpellier from the previous inhabitants of the castle. Being only a few minute drive from the center of Montpellier, this grand 17th-century castle houses a collection of furniture, art, and even optical instruments. The palace is open for visiting during the summer. Nearby the castle there is de la Mejanelle vineyard, owned by chateau’s Coteaux. Here you can taste and buy wine production. Come to explore the castle using our car rental service. RentalCars24h.com offers you reliable car rental Montpellier services that will help you to feel free and independent when moving around the town. Providing best online prices for car hire Montpellier services, RentalCars24h.com allows you to save money each time when you rent a car in Montpellier.